Video: King Willem-Alexander's inauguration was held on April 30, 2013. 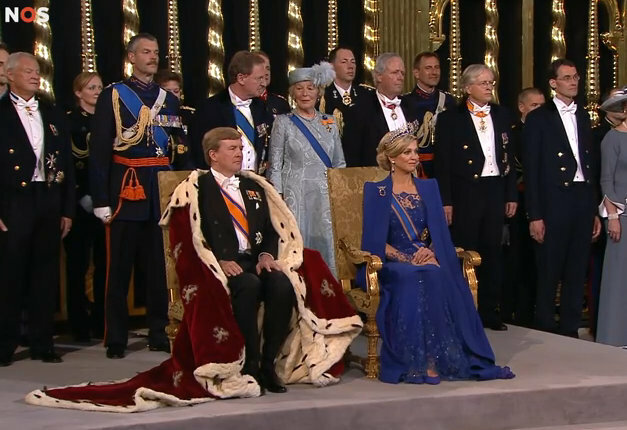 Queen Máxima wore a blue caped Jan Taminiau gown for the ceremony with the Dutch Sapphire Tiara. This week has been a time to remember a certain British royal wedding for many of you, I know. But for me? This event right here is where I'm devoting my weekly memories. It's been a year since we said farewell to Queen Beatrix and welcomed King Willem-Alexander, and the two day festival of tiaras and capes and court dress has made it on to my list of all-time favorite royal events. Click here for full coverage, in case you were looking for a way to waste some time this Friday.